Racks for garments and apparels stores use our channels & brackets to display all type of garments like menswear ladies wear, kids wear, lingerie wear, sports wear, fabrics & sarees, etc. There are two type channels & brackets are available one is in mild steel in various different color shade and another in stainless steel in brush steel finish ( matt finish). 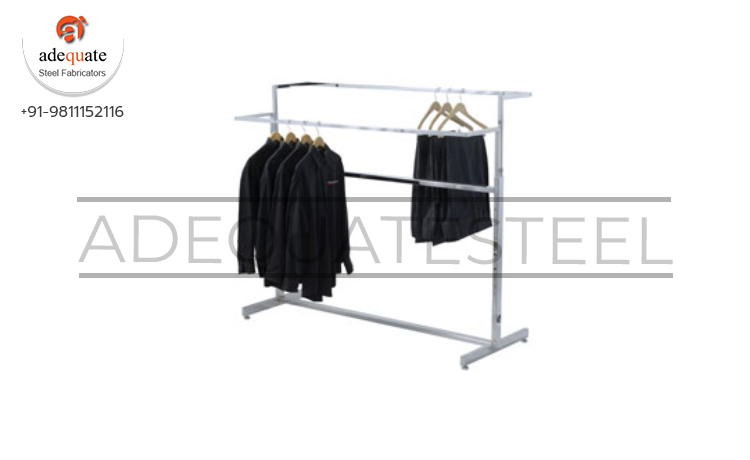 Racks for garments and apparels stores are one of the most economical products to display.